Romtek introduces an all-in-one Component Tester to take care of discrete component testing. 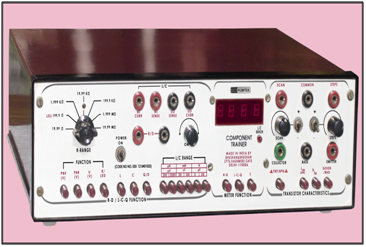 In a single handy equipment, the tester can handle diodes, LED's, transistors, resistances, inductances and capacitors. The equipment permits great accuracy for all your components testing. The display is digital, 3 1/2 digit LED (0.3" height). Plotting on external CRO for ALL modes i.e.